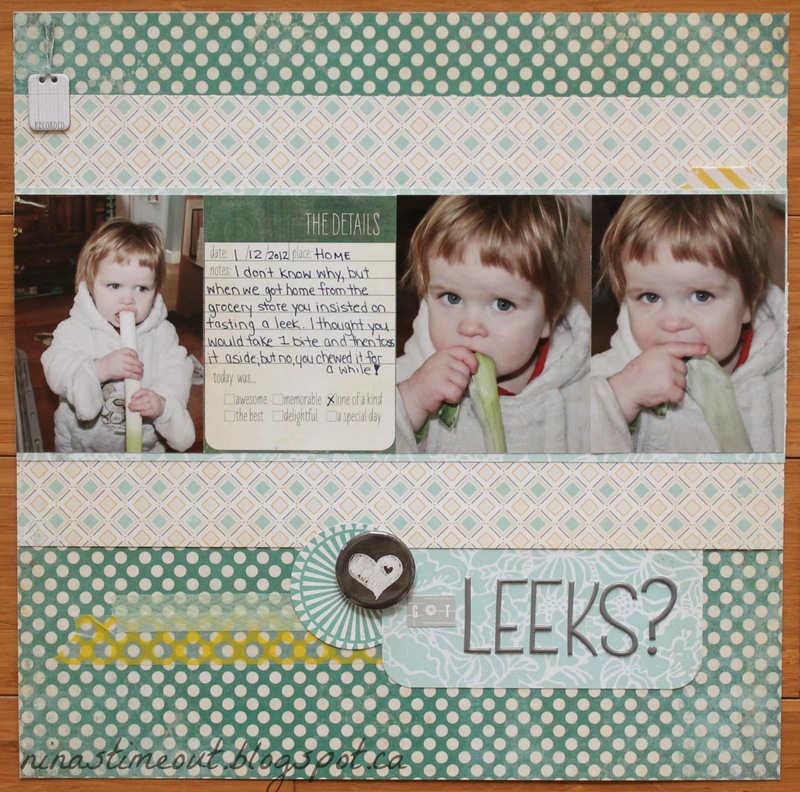 I certainly didn't waste any time getting to the April Sketch for Canadian Scrapbooker Magazine! I really like the simplicity of this sketch and that it has multiple photos. You can check out the gallery for this month's sketch here. I just received the MME Now & Then line 'Milo' and was eager to use it! So many beautiful papers in this collection. And yes, my son is eating a leek. I don't know why. He's strange. Nina!! Great layout and I just love that MME paper!! And those thin Thickers... ;) I am going to have to get some! And as always the pics are adorable! !